Location: From Hwy 17 in Phelps, continue south on Deerskin Rd. about 3.5 miles to Indian Rd. (FR 2178) and turn west (left) on Indian Rd. about 2 miles to a parking area. This is about 1.5 miles past the Vista Lake Bike Parking area. Maintained and signed as a winter snowshoe trail, this system is also open to hiking and birding. 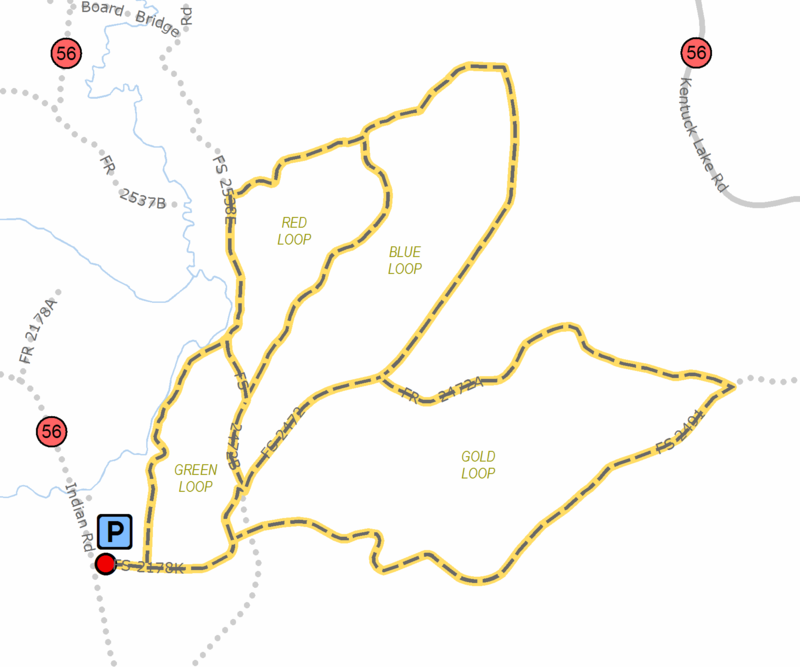 Using over 12 miles of logging roads and ski trails over forested ridges and along the Deerskin River, four (4) color-coded loops originate at the parking area. These gently rolling ungroomed trails do offer some steep areas. The trails are single track and one-way only (except for a short two-way segment to permit snowshoers to get to and from the parking area). Each snowshoe loop has a clearly marked “Begin” and “End” point, with blue “P” signs guiding the user back to the parking area. These trails were developed and are maintained in cooperation with the U.S.D.A Forest service. Caution: Snowmobiles may utilize some trail segments.